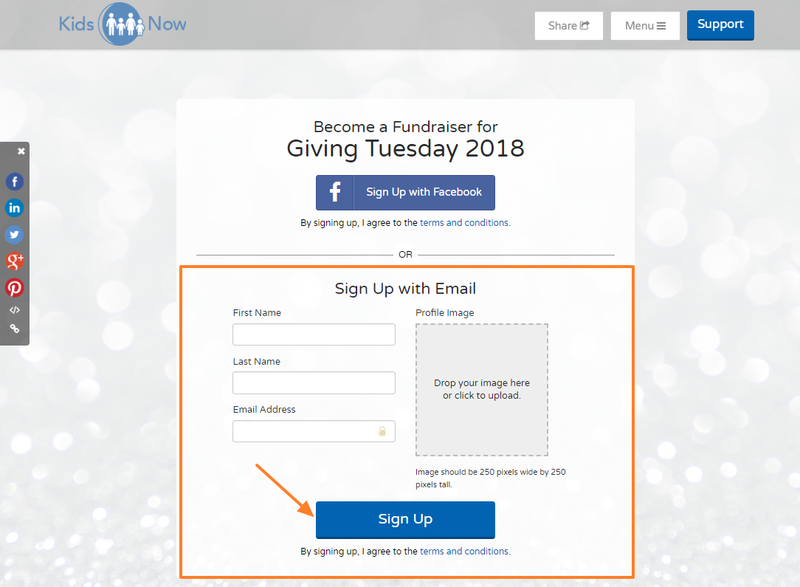 A window will pop up where you will be able to enter one or multiple email addresses, separated by comma, of those you'd like to invite to become fundraisers. There is an email draft already added here, but you are welcome to review and make any edits, and include custom HTML if you'd like. Once ready, hit "Send Invites". 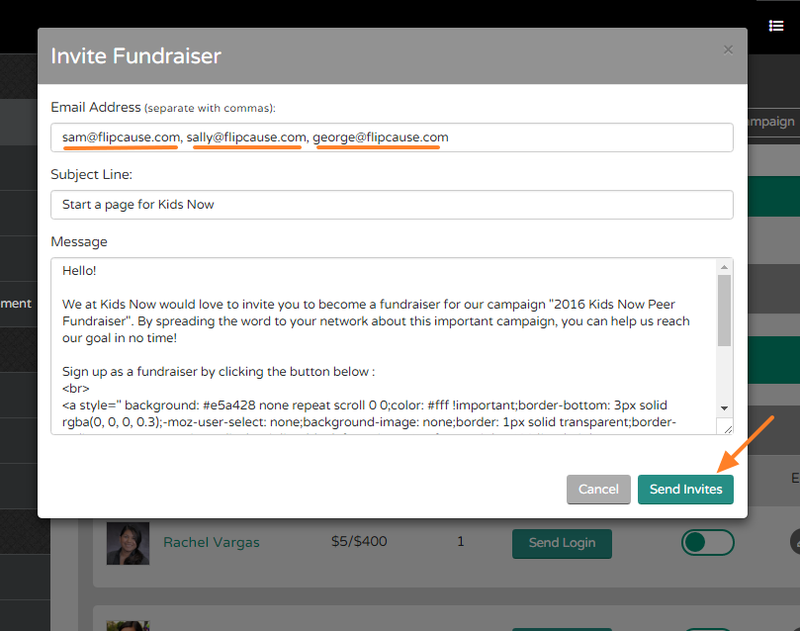 On the same page they will be able to join a team, create a team or fund raise as an individual. After clicking Get Started, they will be shown a confirmation page with buttons to both see their page or to edit it. 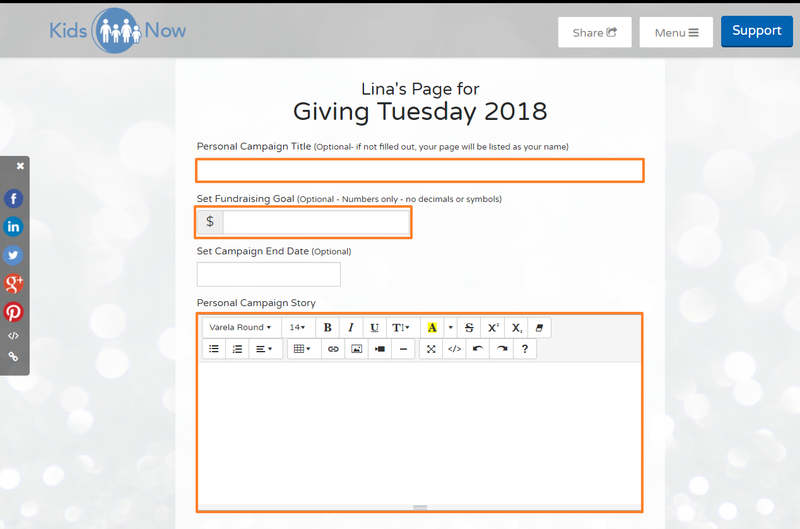 They will also receive an automated email with both of those campaign management links.